Winter goes on and on, and it takes its toll as it does every year. Good news at least: After two years of waiting, Koe no Katachi has a planned disc release in the West! I’ve personally been looking forward to seeing that film since I saw the theatrical trailer for its initial run in Japan, and being not much of a theater-goer myself, I haven’t jumped at the opportunity to see out its limited screenings here in America. The blu ray release has an early April release date. 2019 has been bringing the goods so far! As far as the backlog, I was on a tear for a bit there but fell behind thanks to a couple other notable releases. Having been exposed to the wonders of magic at a young age, Kagari Atsuko quickly developed the desire to learn the trade herself, and to become a witch of the caliber of the magical stage performing star Shiny Chariot, who has been her idol since back then. 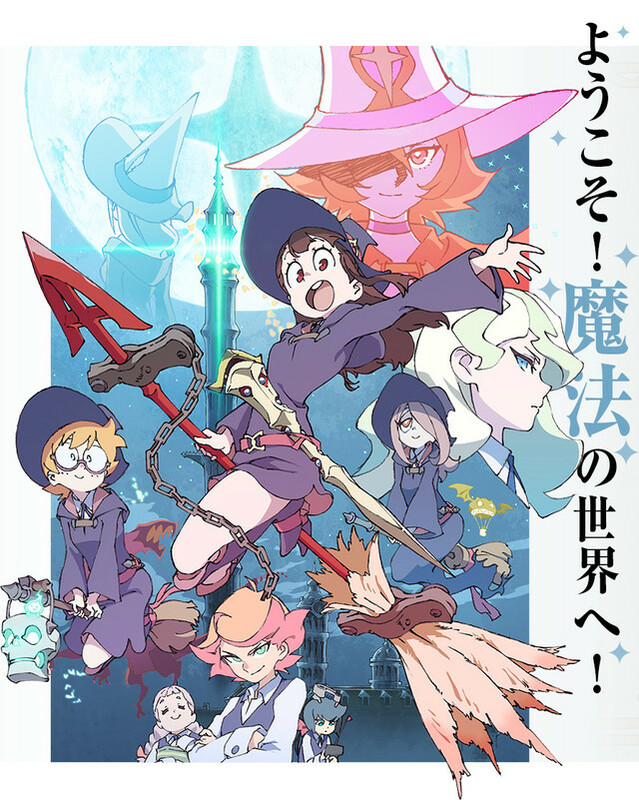 To achieve this dream, Atsuko enlists in Luna Nova Academy, which is a school for young witches, and which happens to be the very academy from which Shiny Chariot herself learned the craft. Being not especially gifted in witchcraft herself though, Atsuko has a winding road ahead, and she’ll need peerless grit and the support of her new friends to achieve her dreams. This is a series I wish I loved more than I do. Don’t get me wrong, I do think Akko and friends are a lovable bunch, and the early scenes of Akko’s early experiences with magic work tremendously and instantly draw you into the character. It’s the stretch beyond that point though, which lacks direction. In a way, this series reminds me a bit of the sort of morning cartoons we had in the west back in the 80’s or 90’s; there is an overarching narrative of sorts, and there are moments of character growth and world-building sprinkled here and there, but the structure greatly consists of a series of one-off narratives which don’t serve much purpose to the overall plot of the series. This doesn’t make Little Witch Academia bad, but it does mean that you’re presented with a goal early on which is ignored almost entirely for the vast majority of the series. Smaller, episode-specific narratives can be enjoyable enough, too, but save for a few in particular, they all go through the same sorts of motions, with Akko dragging her friends into mischief and somehow coming out clean (more or less) at the end. 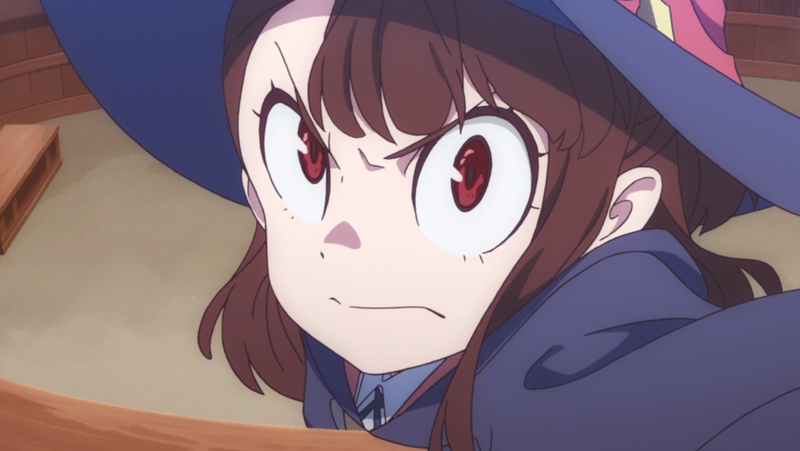 I’m very likely being overly harsh, but the series truly does an exceptional job at filling you with the same wonder as Akko in its introductory moments, and leaves a great early impression, but follows those early minutes with a series of sort of whatever gags and pointless one-off narratives. This is a Studio Trigger production, so there is a traditional sort of look about it. The character designs are varied and quite nice, and there aren’t many fancy modern effects distracting you away from them. As far as the visuals and sound go, this series has everything it needs to be a modern classic, but it’s missing the solid narrative it needs to achieve that. I’m hoping the second half of the series brings more by way of plot. 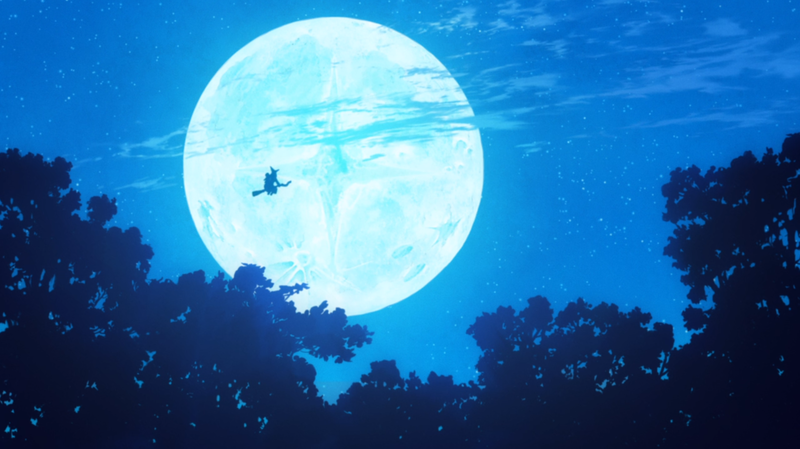 If you’re in the mood for some lackadaisical fantasy slice of life comedy antics, Little Witch Academia has enough character to satisfy, but those looking for an unpredictable or memorable overarching narrative, it will likely leave you wanting. January was an unsuspecting knockout month for video games, between Ace Combat 7 (which will no doubt, depressingly enough, fly under many people’s radar despite how great it is) and the superb Resident Evil 2 remake. I’ve even been getting into Final Fantasy XIV a bit, too, after the recent expansion announcement promising a gunblade wielding job option. Keep an eye on Twitch, as I’d like to do some impromptu gaming streams in the near future!